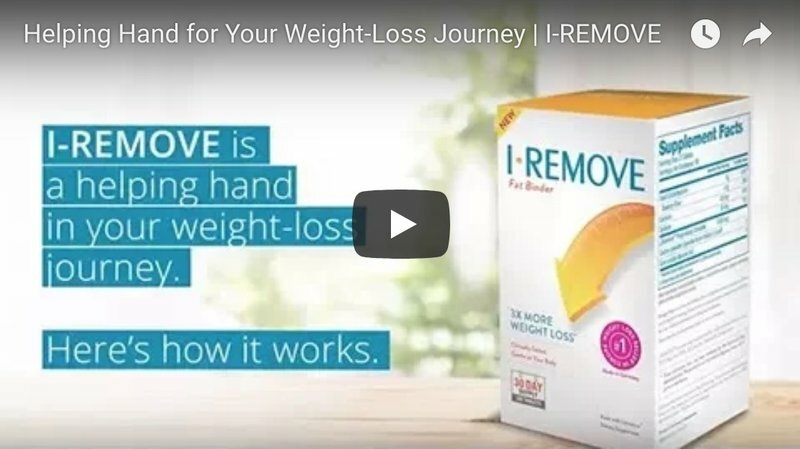 I-REMOVE can help you achieve your weight-loss goals, just like these women, and many more, throughout the U.S.
I-REMOVE is a weight-loss supplement powered by Litramine™, a patented fiber complex with superior fat-binding properties. When taken after a meal, I-REMOVE binds to a portion of the fat molecules in food, forming fat-fiber complexes that are too large to be absorbed by the intestine. We did it! You can too. Stop dreaming about your ideal self and achieve your goals. 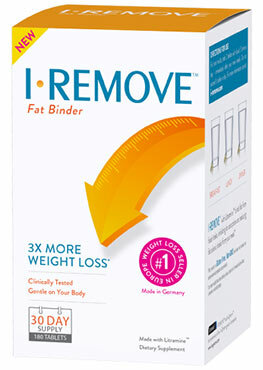 Just like these women, I-REMOVE can help you get there. Learn about the I-REMOVE App, find answers to frequently asked questions, and get tips for how to succeed with I-REMOVE. I-REMOVE is available for purchase online and at retail stores throughout the U.S.
All clinical benefit claims are backed by clinical research. References: 1. Grube B, Chong PW, Lau KZ, Orzechowski HD. A natural fiber complex reduces body weight in the overweight and obese: a doubleblind, randomized, placebo-controlled study. Obesity (Silver Spring). 2013;21(1):58-64. 2. 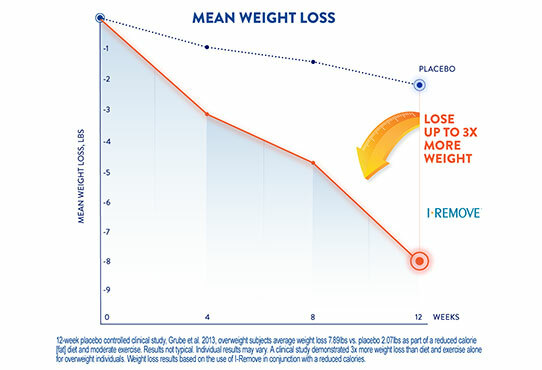 Grube B, Chong PW, Alt F, Uebelhack R. Weight maintenance with Litramine (IQP-G-002AS): A 24-week double-blind, randomized, placebo-controlled study. J Obes. 2015;2015:1-6 3. Uebelhack R, Busch R, Alt F, Beah ZM, Chong PW. Effects of cactus fiber on the excretion of dietary fat in healthy subjects: a double blind, randomized, placebo-controlled, crossover clinical investigation. Curr Ther Res Clin Exp. 2014;76:39-44.